All export bookings are on hold and recommend checking with us before dispatching airfreight to MGA airport. Beginning late Thursday, there have been serious civil protests throughout Nicaragua which began largely with changes in the Social Security system. 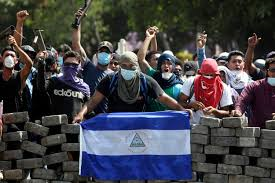 Protests throughout Nicaragua continue with a national day of protest declared for Monday April 23rd. The reaction of the government to aggressively suppress demonstrations is noteworthy and being condemned by many governing bodies and the business community. 20 deaths have been reported. Store front looting is being reported in various locations, including supermarkets, ATMs and malls. Most businesses, banks, and all government offices which will be closed Monday. Public transport is essentially at a standstill. Transport on key roads has been disrupted. Communication with the ocean carriers is difficult and unfortunately it is difficult at this time to speculate when conditions will improve however we will continue to monitor it and keep you posted.